It was Sunday, August 24th 2014. 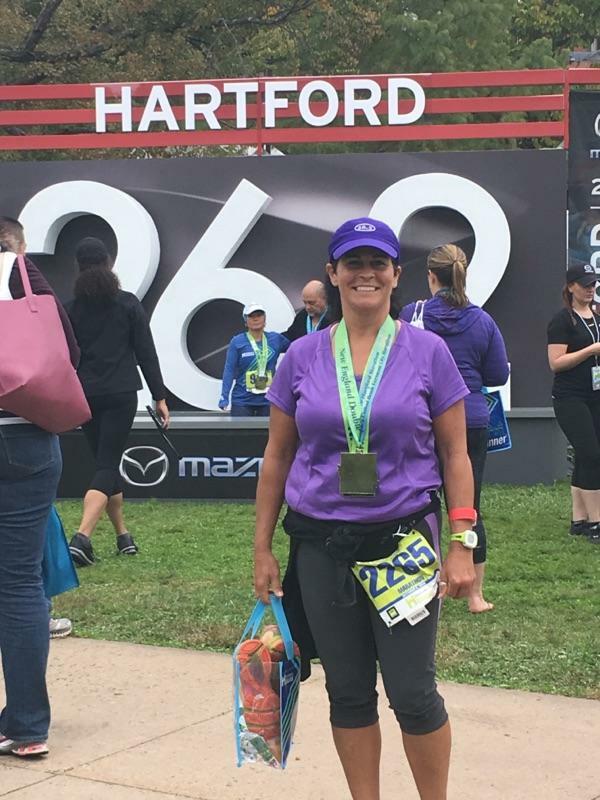 Bonnie Gadapee had planned out the day with her friend, Penny, training for an upcoming Triathlon. They met up at Barney’s, an ice cream shop where Bonnie’s daughter worked. “I remember exactly what I ate for lunch,” Bonnie says. “It was a tuna fish sandwich on an english muffin with melted cheese”. It was beautiful and sunny in Concord, Vermont, as they rode along Route 2. They took a swim, and were riding on the right side of the road, with Bonnie’s goggles hanging off her handlebars. Her helmet was snug under her chin from lending it to her nephew the week before. The breakdown lane was wide enough for the both of them to ride side by side. However, Penny was the athlete of the two and got ahead of Bonnie. The road was a busy highway. Cars whizzed by the two women like a river after a heavy rain. They were moving in an orderly fashion and obeying the speed limit. “At some point I had this feeling that reminded me, a sensation, of like, whenever you have had an underdog push on a swing, just that wind sensation going back, I felt that but it was like magnified a million times,” Bonnie remembers. It really came out of nowhere. Turning around the corner, the car’s passenger side slammed into Bonnie. Bonnie’s left arm went through both the right side mirror and front passenger window, causing severe damage to her left hand. Her bike was sent ahead of her, going under Penny and sending her rolling down the hill over the asphalt in backwards summersaults. Bonnie moved across the car before her hip slammed violently into the back side door. The hit to her pelvis was what saved her life, sending her rolling down the hill in a similar fashion to Penny, and away from the breaking car. She blacked out while going down the hill, and only came to when the back of her head slammed hard onto the ground, with only her snug helmet saving her. Penny rushed to Bonnie’s side and called 9-1-1. The women who hit her stepped out of her car and stood over Bonnie, but she looked like a silhouette. Bonnie still doesn’t know what the women looked like. After forty minutes, Bonnie laid on ground while Penny stood over her and Penny’s boyfriend kept spectators back. Bonnie knew she was not walking away with some scrapes. The pain in her hand was unbelievable. Her hip was burning. She felt a ringing in her head as a growing concussion berated her brain. Bonnie’s hand was ripped open. Exposed veins and muscles pulsated in the warm sun. The whites of her bones were shattered and splintered. Tendons were split and separated, snapping back into her arm like a broken rubber band. Two fingers: her pointer and ring finger, were completely missing. Many called from the crowd for it to be covered it up, and she ended up having a thick wool blanket laid over her arm. It soon began to itch. When being loaded into the back of the ambulance, hand was set into an air cast. She was dosed with painkillers and other sedatives. She spoke in her delirious state about how she need to start making sub plans for her anticipated absence. “My doctor in the emergency room told me that I had dislocated a couple of fingers and it would hurt a little bit, but he was just gonna pop them back in,” Bonnie says. The doctor’s face paled as he realized the extent of her situation, rushing her into surgery. Police soon came in saying they were sorry about not being able to find her missing fingers on the scene. However, as they were taking X-rays to prep themselves, they located her fingers: jammed in between the bones that made up the hand and palm, and, because of the state of her hand, they couldn’t see them amidst the flesh and bone. It was the day before school started. For three long years, Bonnie Gadapee would have to deal with a lengthy recovery process. One that would never get her to full health and normality.